Global2 is the place for students to learn about social media, using social media. Teachers and students in Victorian Government and Catholic schools are invited to set up their class and student spaces, create blogs and digital portfolios. 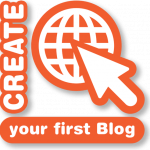 You’re invited to learn about blogging while making global connections through the next Student Blogging Challenge. It begins on March 3, 2019! This guest post from Kathleen Morris explains all about the challenge and how you can take part using Global2. You are about to join "Tools to Enhance Assessment Literacy" site as "Subscriber". Already a member? Log in to join with your account!